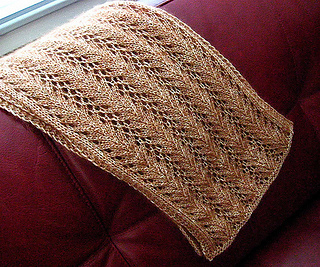 Super easy, super gorgeous lace makes this Winter Frost scarf. The lace design reminded me of frost on the windowpanes on the coldest days of winter. The mohair fills in the holes in the design and insulates your head and neck. The scarf is long enough to wear over your head, then wrapped around the neck several times. Enjoy!